A FATHER OF one drowned after becoming “snagged” on a car that had been submerged in the river Shannon, gardaí told an inquest into the man’s death yesterday. 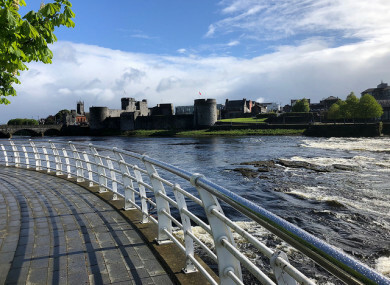 Christopher ‘Kippy’ Leo, aged 44, from Cliona Park, Moyross, had gone for a swim at Brown’s Quay, Limerick, when he got caught on the car, Limerick Coroner’s Court heard. “It is in an area known for joyriding. The car may have been driven in or pushed in,” Garda Alan Dowling, Mayorstone Park garda station, told the inquest. Eric Woodland from Dalglish Park, Moyross, told the hearing he and Christopher Leo, who were friends, had gone for a walk on 30 June 2018, and stopped for a rest near the riverbank. “We were sitting down enjoying the sun. It was a roasting hot day. Ann Halvey and her two daughters were paddling in the river and Christopher said to me he was going to ‘show-off’ for the kids,” Woodland told gardai. Woodland said Christopher Leo “had one or two drinks that day, but he wasn’t drunk”. Limerick City and County Fire and Rescue Service were dispatched to the scene and quickly located the man’s body underwater. “The Fire Service rescue [boat] located him snagged underwater in a car,” Garda Dowling said. Ann Halvey from Cosgrave Park, Moyross, stated in a deposition, read out by Garda Inspector Dermot O’Connor of Henry Street Garda Station, that Leo was initially “popping up and down” in the water. She said she thought he was “only messing” when he didn’t resurface. She rang the emergency services and efforts to resuscitate Christopher Leo failed. John Leo told the inquest he identified his brother’s body later at University Hospital Limerick (UHL). Dr Gabor Laskai, a pathologist at UHL, said death was caused by “asphyxiation due to drowning”. He said toxicology tests found “low levels” of Xanax and alcohol in Christopher Leo’s system. He noted the post mortem examination found a “concurrent use of alcohol, anti- depressant; anti-epileptic; antihistamines medications” which combined together would have resulted in “an increased risk of accident” as well as a possible “loss of coordination”. Recording a verdict of “misadventure”, Dr McNamara noted combined low levels of alcohol and medicines may have affected Mr Leo’s “coordination and ability to react”. Email “Limerick man drowned after getting 'snagged' on car while swimming ”. Feedback on “Limerick man drowned after getting 'snagged' on car while swimming ”.